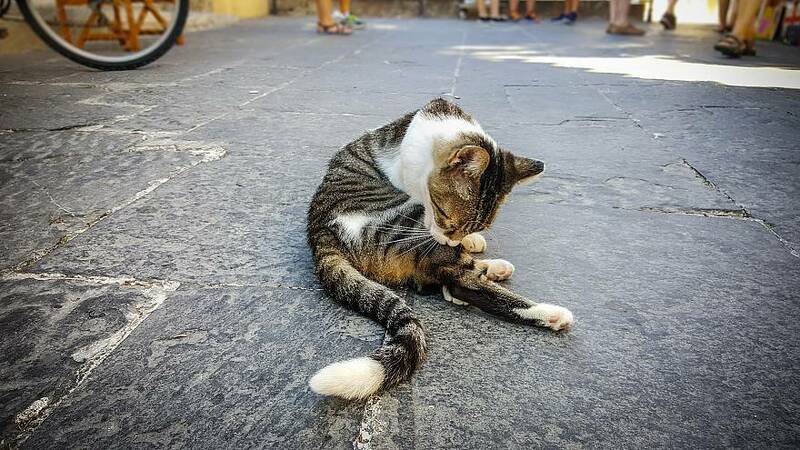 New laws in Belgium are mandating that nearly all of the country’s two million cats must be sterilised to better control the surplus population of strays, making it the first state in the world to oblige citizens to spay and castrate their felines. In the nation where cats once delivered the mail as part of a bizarre experiment in the late 1800s, nearly 30,000 cats are abandoned every year, half of which are put to death due to overpopulation at cat shelters. To alleviate the mounting pressure on shelters, the government has ruled that all newborn cats must be sterilized before the age of six months, while those brought into the country must also be sterilized if they stay longer than 30 days. Older cats will also need to be sterilized. While a handful of municipal governments have legally introduced mandatory sterilization, Belgium is unique worldwide for implementing these measures on a national scale. The law has already come into force in Brussels and the French-speaking region of Wallonia and will apply nationwide by 2020. “The logic is to stop the overpopulation of stray cats in the street. However, the measures will apply both to domestic and stray cats,” said Bianca Debaets, one of three ministers in Belgium responsible for proposing the law. Animal shelters have already been required by law in Wallonia to sterilize stray cats over the age of six months since 2013, and now the measures are working their way into the city of Brussels and the northern region of Flanders. “In the summertime, when the cats are in heat, we will receive up to a dozen cats on a given day. It stretches us thin, and we really hope that the new rules will bear some fruit,” said Lauren, a caretaker at the Veeweyde Animal Refuge in Anderlecht, a western commune of Brussels. The Belgian government has no plans to directly audit citizens’ compliance with the feline population control measures. However, owners will be required to plant an electronic chip in their pets, which will act as a digital register for veterinarians through a centralized data network called CatID. “Since registration and identification is mandatory for the whole country, sterilization can be certified through the database,” Debaets said. Yet it appears that Belgians are in little rush to adhere to the new rules: currently, the CatID registry lists only 14,882 cats, a minuscule 0.7% of all estimated cats inside the country. Failure to comply with the rules can result in a fine of 50 euros, and if the owner refuses to comply over several years, a fine of up to 10,000 euros may be doled out. But despite the low initial enrollment figures, veterinarians report that they have seen a slow but steady uptick of requests for sterilization and registration from private citizens. “Since the decree came into force, more and more people have been coming in to ask that their cats be spayed or castrated, if they were not already. Some are afraid that if they run away, shelters will hold onto them for a very long time as they wait to be sterilized,” says Emmanuel Denis, a veterinarian from the Wallonian city of Namur. Animal rights groups across the world have long argued that sterilization is the only adequate response to overstretched animal shelters and forced euthanasia of surplus stray populations, as it helps create an equilibrium between arrivals and adoptions from shelters. In Belgium, the measures owe a great deal to a powerful animal welfare lobby called Gaia, led by activists Michel Vandenbosche and Ann De Greef. “We had a hard time getting everyone on board, as we heard so many counterarguments: for example, it would be wrong to ask a poor old woman with five cats to spend around 600 euros on sterilization, or that the feline population will disappear if everyone follows the measures,” said De Greef. De Greef also successfully encouraged the Belgian government to make animal welfare policy a separate ministry from agriculture, which she said helped clear longstanding conflicts of interest and pave the way for sterilization. Still, some are concerned that the state has taken upon itself to interfere with the reproductive organs of pets. “Politicians are taking away our liberty to have a cat without paying taxes, and also without genetic control. Obviously, there won’t be many cats left if everyone follows this rule, and the government should leave us and our cats in peace,” said Agnes Vandenschrick, a resident of Mons, Belgium. A legal review will take place in five years to evaluate the impact and efficacy of the laws.